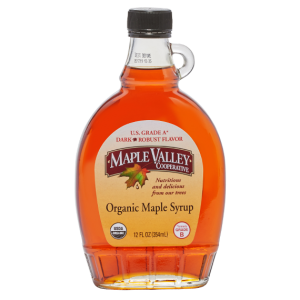 Our maple candy is made with pure certified organic maple syrup and nothing more – the ultimate natural treat! 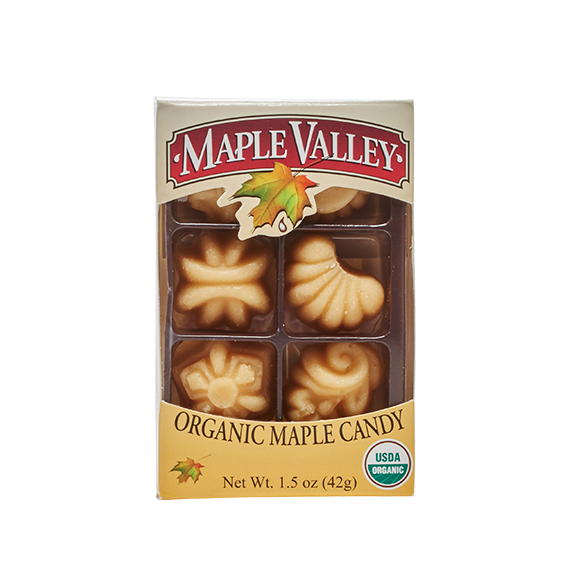 The 1.5-ounce box comes with six candies in assortment of decorative shapes. 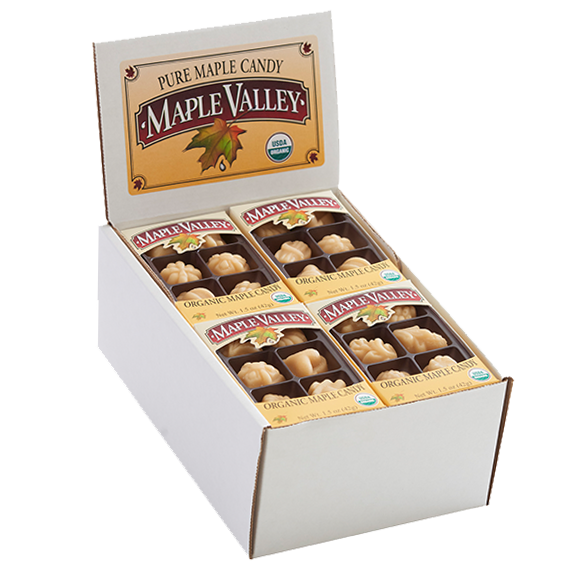 Save 5% when you buy buy a case – maple candy is great for gift-giving! Case Deals! Buy 16 and save 5%. 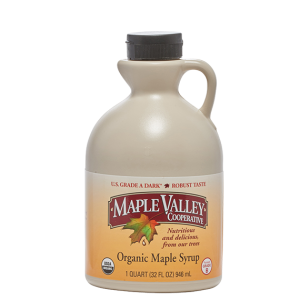 Our maple candy is made with pure certified organic maple syrup and nothing more. It’s the ultimate sweetness of nature! 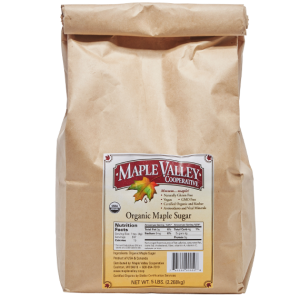 Granulated Organic Maple Sugar is a delicious alternative to cane sugar. Sprinkle it on toast, cereal or fruit, or add a pinch to sweeten your tea! 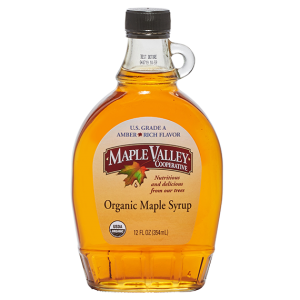 Our Grade A Dark Robust (formerly Grade B) syrup is blended from sap harvested toward the latter part of maple season. It is dark in color and has a deep robust maple flavor. Many folks use Dark Robust for table syrup, baking, and the Master Cleanse. 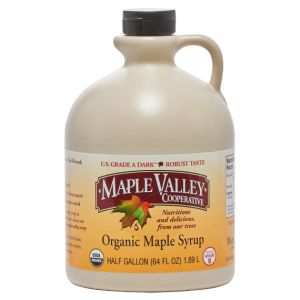 Maple Valley Co-op is the leading supplier of organic maple syrup for the Master Cleanse. 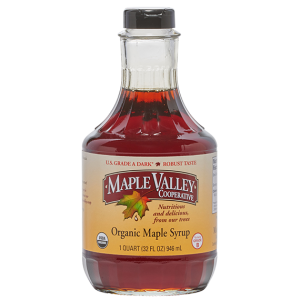 Organic certification insures biodiversity, the health of the forest, and nutritious maple syrup.